Wondered about the origin of this day in English history? Just what is this St Georges Day all about and what’s the story behind it? Hi, you have probably arrived to this site because you are English or that you have English ancestry and you want to know more about your roots. In this post I will explain what is St Georges Day and the story behind it. It’s actually St George’s Day! Before I begin with this origin story I first want to clarify something. It is in fact “St George’s Day” and not “St Georges Day” as there was only one George. With that in mind I will refer to it as St George’s Day for the rest of the post. Check out the following 30-minute video that will show valuable tips that you can use to research your British family history. Video courtesy of Ancestry. Saint George’s Day is the feast day of Saint George who is the patron saint of England. The date for this day is celebrated on April 23rd. This date was chosen as it was the day that Saint George died. He was executed in the year 303 for being a Christian. He was buried in the town of Lod in Israel. Due to the closeness of this day to Easter it is sometimes moved to the Monday of Easter Week. The people of Greek celebrate the feast day of Saint George on two days of the year. These are May 6th and November 23rd. He is also remembered in the province of Newfoundland and Labrador in Canada, and also the Gorani people that live in the Balkans. Similar to Wales, England’s patron saint day is not an official public. Government buildings, schools, business and services all operate as normal on this date. This has been despite calls for it to become a public holiday that all English people can celebrate. Support for this day though had declined by the end of the 18th Century. This was at the time of the union of England and Scotland. In 1894 The Royal Society of St George was founded. Their intention was to promote English culture, and that included St George’s Day. Back in 2003 there were even calls for St George to be replaced as the patron saint. This was meant by organizations such as the Royal Society and English Heritage to revive St George’s Day as a national holiday. Turning the water red in Trafalgar Square? A year earlier their were protests against the then Lord Mayor of London Ken Livingstone. This was as a result of plans for £100,000 to be spent on celebrating St Patrick’s Day in Trafalgar Square. There were plans to turn the fountain water to green to celebrate the Irish’s special day. Protestors thus wanted the water to be dyed red in order to mark St George’s Day. The following years have since seen a privately organized feast day for St George which is held at Convent Garden. The Royal Society of St George even asked to be a part of it in 2006. At this event there are traditional English performances. These include a Punch and Judy show, English folk and dances, as well as Morris dancers. An online campaign for a national holiday began in 2011. But this petition failed abysmally as there were only 4,266 signatures received. This fell significantly short of the 100,000 needed before the August 2012 deadline and for it to be debated at the House of Commons. It may surprise you that Saint George was not even English. He was born in the region that was known as Cappadocia, which is now modern Turkey. This was sometime around 280AD. He was a soldier within the Roman army, and as I have mentioned earlier, because of his religion he was executed. Within the Roman army though he rose through the ranks. He rose to the position of Tribune which meant that he was in charge of 1,000 men. He even became the bodyguard of Emperor Diocletian. However, Diocletian persecuted the church. He had hoped to do this in order to revive the pagan religion. George rebelled against this and the emperor. He was subsequently tortured and beheaded as a result of this rebellion. He died on April 23rd 303, which is now his feast day. Due to his acts of bravery and for protecting Christians against persecution he was eventually recognized as a saint in 900AD. He was also reported to have performed miracles and this further aided the decision to make him a saint. His emblem comprises a red cross over a white background! This emblem is of course the English flag we all know of today. This is known as St George’s Cross. This cross forms part of the Union Jack flag that also comprises the flags of Scotland and Northern Ireland. 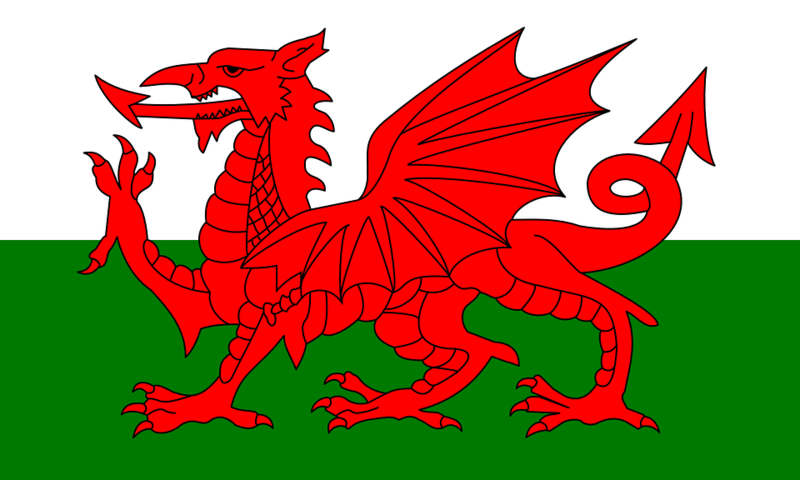 Incidentally Wales is not represented on this flag. But that is another story altogether. The Crusaders and Richard the Lionheart would wear the red cross of St George on their white tunics. This would symbolize both symbolize chivalry and bravery, which were characteristics of Saint George. Becoming Patron Saint of England! The Crusaders brought this emblem of Saint George to Britain sometime in the 12th Century. Then two hundred years after that he was recognized as the Patron Saint of England. This was a time of the English reformation during the Tudor period. At this time George became the primary patron saint of England. The first recorded date that his cross was used in conjunction with Royalty was in 1545. Then 61 years later in 1606 it was put together with the cross of St Andrew’s to form the Union Flag. The flag of St George has quite recently been used by English sports fans supporting their national football, rugby and cricket teams. These fans will display the cross on flags, on scarves and even painted on their faces. If you are aware of Saint George and his connection with England then you may know about the stories regarding him slaying a dragon. I have found though two conflicting accounts of this tale. One occurs in the city of Silene in the province of Libya. The other tale originates in the English county of Berkshire. Both of these though I believe represents good against evil. Story of George slaying the dragon! Saint George was said to have slayed a dragon that guarded a well in Silene. In order for the people to get water from the well they had to offer human sacrifices to the dragon. This would occur on a daily basis where the person was chosen by lots, i.e. maybe the short straw. One day when Saint George was visiting the area a princess was chosen for the human sacrifice to the dragon. George killed the dragon and ultimately saved the princess from a certain death. By doing so the townspeople were now able to access the water. The people of the town were impressed with such a courageous act of bravery. In gratitude they converted to Christianity. Another story recounts how a dragon was slayed on Dragon Hill in Uffington, Berkshire. This story also states that the grass does not grow on the spot where the dragon died. What To Do On St George’s Day? I had mentioned that sometime during the end of the 18th Century the appeal of St George’s Day had declined. It was though once as popular as Christmas Day up until the unification of England and Scotland in 1707. It, as I have mentioned, has seen a revival in modern times. Performances of Punch and Judy, together with folk dancing and singing, as well as Morris dancing have become symbols of England. They have subsequently been recognized with Saint George’s Day. You could though decide to celebrate this day with friends and family with a barbecue or meal. Or you may wish to take your family to the beach, go for a walk or maybe go sightseeing a typical English site, i.e. a church, castle or maybe a monastery. Other ways to celebrate are show your proud of your heritage is to display a Saint George’s cross flag on your car, on a T-shirt or cap. There are just so many ways that you can celebrate this day. If you are English and you do celebrate this day then let me know what you do to enjoy this day. I would love to hear about it. You don’t have to be English to join in the festivities of this day. But it will make it special for you if you have English ancestry or know someone who is English. You may even wish to show to your friends your knowledge of Saint George with the information on this page. Please share this post, I encourage you. Why not research your English ancestors on this day? You can use the many tips and guides found on this site to begin your family history journey. There is just so much that you will discover and who knows it may quite surprise you. So take the first step today! Why not head on over to Wikipedia where you can find a more comprehensive guide to this day. I hope you enjoyed this article explaining what is St Georges Day, or rather St George’s Day to be exact. If you have any questions or comments then please leave a comment below. I had no idea of the history behind St.George what a fantastic site to learn the history behind this day. It gives you the truth behind this day the celebration and the festivities. This is a combination of history as we know it and how it came about. I’m excited about this site and to learn more. Very interesting as well to know he was executed for his religion very sad. very interesting piece on St.George’s Day. I didn’t know he was patron Saint for different countries. So much history. I remember reading the one as a kid of where he slew the Dragon. Oh and although I live in the Caribbean I love that English flag….I see it when England plays football!!!! It did surprise me that he I see patron saint to other countries. But I suppose maybe that that is no surprise as England adopted him, even though he wasn’t English. The celebration of St George’s day has indeed gone through many periods of change – and, of course, periods of controversy. Hi Mark, I am glad that you liked it. 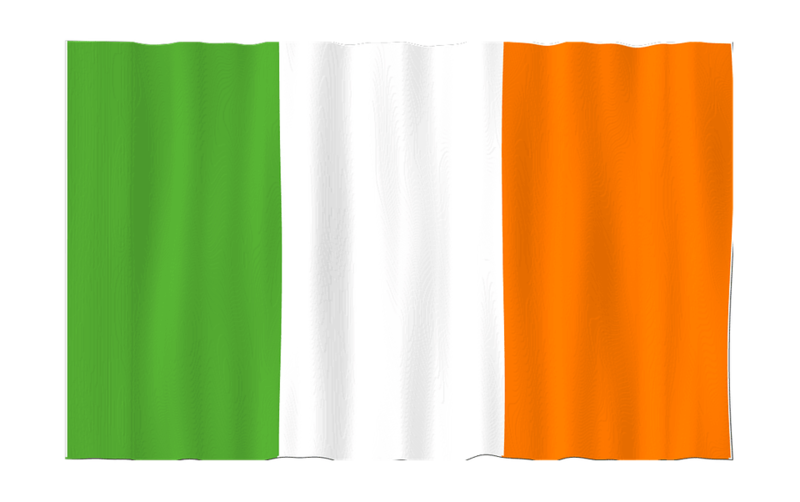 You may also like to know that I am writing up posts regarding St Patrick and St Andrew. So keep checking back for them two. Thanks Tony. I feel that it is not only important to know about our ancestry but also their homeland, traditions and cultures as well. That’s why I wanted to include this section on my site. Glad you enjoyed. A very informative post about St George’s Day Owain. I just didn’t know the whole story behind this special day for the English. There is just so much history behind the British isn’t there. I will be checking out your site further as it looks like there is a wealth of information here that I can use. Glad that you found the post informative. I do try to pack in as much information a search I can in a post without overcomplicating it. So I am glad that you enjoyed it. Stay tuned as I plan to add origins to the patron saints for Scotland and Ireland.